Flexibility: can be wrapped around a rod with a 12mm radius at 20oC without cracking Cutting: Scissors cutting, knife-cutting, die-cutting, and slitting can be done with ease. BACK COATING: The magnetic sheeting has a UV hardened coating on the magnetic side. 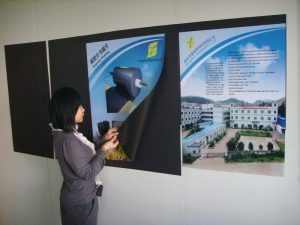 Outdoor Applications: Seldenrod understands that this PVC film can be used for outdoor application but we hereby give no guarantee to its durability. Exposure to severe humidity, ultra-violet light or conditions found in tropical, subtropical or desert regions will often cause a rapid deterioration. We sell magnetic vinyl, if you are interested contact us! Comply Application Tape – It’s arrived! 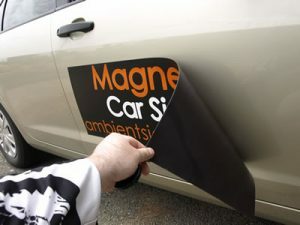 Hey Buddy!, I found this information for you: "Flexible Magnetic Sheeting with Matt white PVC Film". 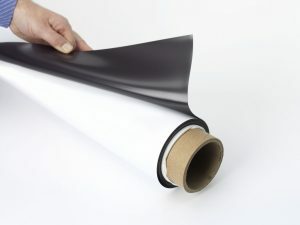 Here is the website link: https://www.seldenrod.co.za/flexible-magnetic-sheeting-with-matt-white-pvc-film/. Thank you.